Athletes are the embodiment of hard work and commitment. To get to the peak of their sport, even the most high skilled athletes need to give it their everything. Most of us watch sports for entertainment and fun. More than the enjoyment people love their favorite athlete to deliver the best during the game. This makes them happy, excited and thrilled. That is the nature of sports. 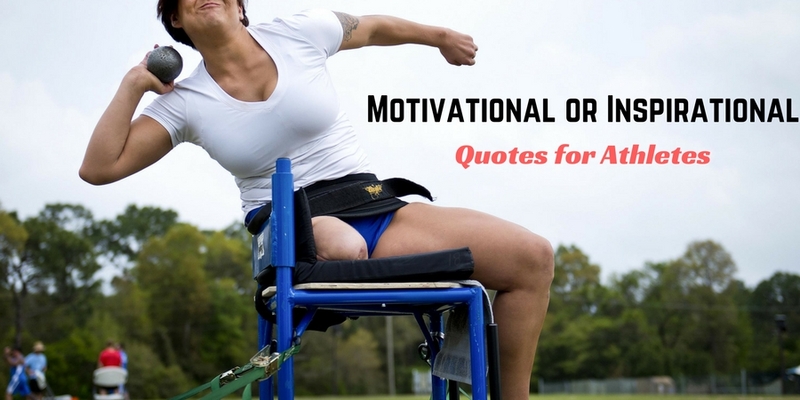 These inspiring quotes for athletes can give you the lift and make you significantly more starved for achievement.